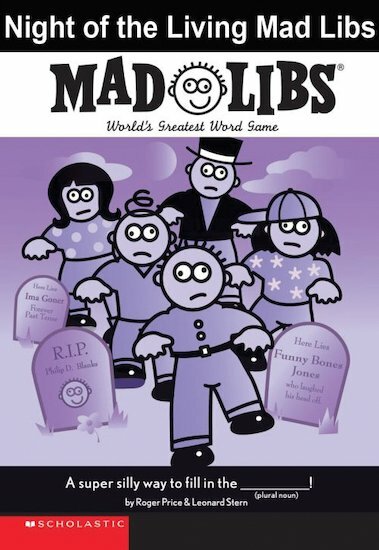 The brilliant Mad Libs fill-in-the-blanks series is back with a frightfully funny twist! In this awesome book inspired by horror films and novels, you can create your spookiest, silliest, craziest mad libs yet! There are twenty scary stories to complete by yourself or share with all your friends. Hours of frightful fill-in fun from a super-silly series!